After two disappointing seasons in which they were miles off the playoffs, Indian Super League outfit Mumbai City FC appeared a side transformed in the third edition of the competition. Much of their revitalization was put down to one man, Costa Rican Alexandre Guimaraes. The 57-year-old tactician was credited for turning the Islanders from the league's also-rans to table-toppers last season. However, after having marched into the last four as the best team in the eyes of many, his side somewhat fizzled out at the business end of the competition following a tame defeat over two legs to eventual champions ATK. Q1. 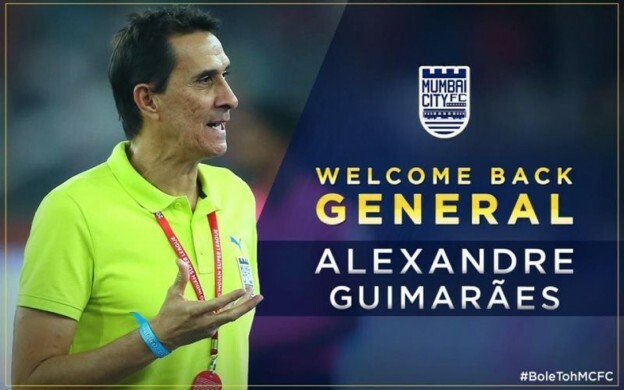 This is your second season with Mumbai City. What did you learn from the first campaign and how will it alter your approach this time around? A- In the first season, the frequency of matches was more in one week and rotating the squad was a big challenge. Since the matches will be more spaced out this season, I will plan differently according to the fixtures. Q2. The draft is tricky because you don’t always get your first or even second-choice players. How do you rate your business in the draft? A- I’m happy with the players we have acquired. They are a collective bunch of talent and experience. There is a good balance in the squad. Q3. Last season there was the feeling that while your first-choice starting XI was one of the strongest, it was the lack of squad depth that cost you in the playoffs when some key players were suspended or injured. Is this something you will be working on this season, to have more depth in quality? A- Last season the format was different with more games happening in a span of one week so injuries and suspensions were natural. This season the players will have more time to recover and thus perform better. Q4. Your thoughts on the entry of the two new teams and how that alters your planning for the season? A- I’m very happy with the fact that the league is expanding, which means more games and experience for the players. Q5. Do you plan differently in terms of recruitment and training given that it’s a long season? A- Yes the plan for this season will be different compared to last season and we can work on more things on the training ground since there will be more time. Q6. You are one of the few managers to have been retained while most of your rivals are in transition. Do you think that is an advantage? A- Yes its great but there are a lot of other factors involved and not just my experience from last season. Q7. How big is a challenge it to work with almost a completely new squad and to get the players to gel as a unit before the start of the season? A- It is a similar challenge which I faced last season and I hope I'll be able to implement my philosophy on the squad.